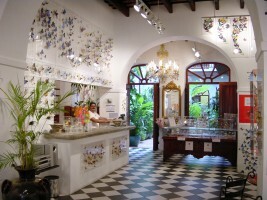 Exotic mariposas cover the walls of Butterfly People. Clear plastic cases hold everything from a pair of common butterflies to dozens of rarer specimens in this serene and lovely shop. The butterflies are gathered only from certified farms once they complete their life spans.